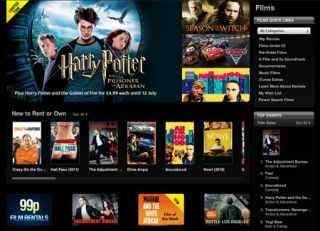 Film downloads struggle to match DVD revenues | What Hi-Fi? Downloading movies may be all the rage, but the Hollywood studios are struggling to make as much money from digital downloads as they have in the past from DVD sales. That's the finding of a new report by media research firm IHS Screen Digest, as reported in today's Financial Times. Traditionally DVDs were a massive revenue stream for Hollywood, generating more than $20bn in sales a year. But since 2006 DVD sales have slumped 25 per cent. There were hopes that digital downloads would fill the gap, but after the launch of Apple iTunes and a raft of rival services, growth has slowed, according to IHS. "The retail model that has been so successful with DVD is not going to replicate itself digitally," says Dan Cryan, the author of the report. "What we're seeing in the US and internationally is a huge surge in digital retail to start off with, but then it flattens out quite quickly." And while sales of Blu-ray discs are growing, they have not been enough to replace lost DVD income. There's also grim news for those pinning their hopes on 3D to save the industry: the proportion of audiences paying for higher ticket price 3D films has slipped from its peak 18 months ago and general admissions are down year-on-year.